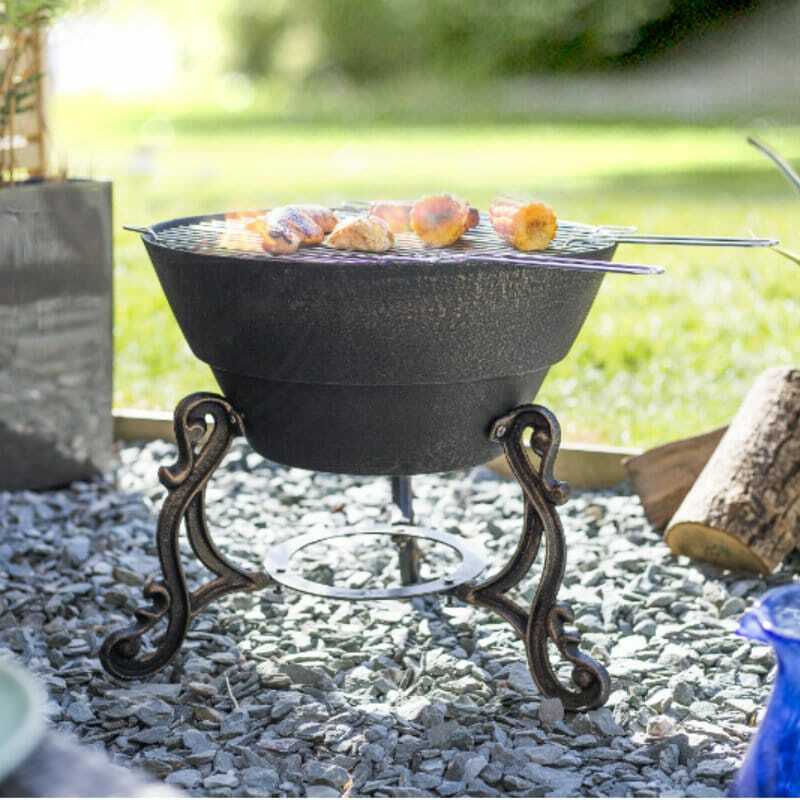 This large heavyweight and ultra-durable cast iron firepit will warm you and your guests from head to toe. 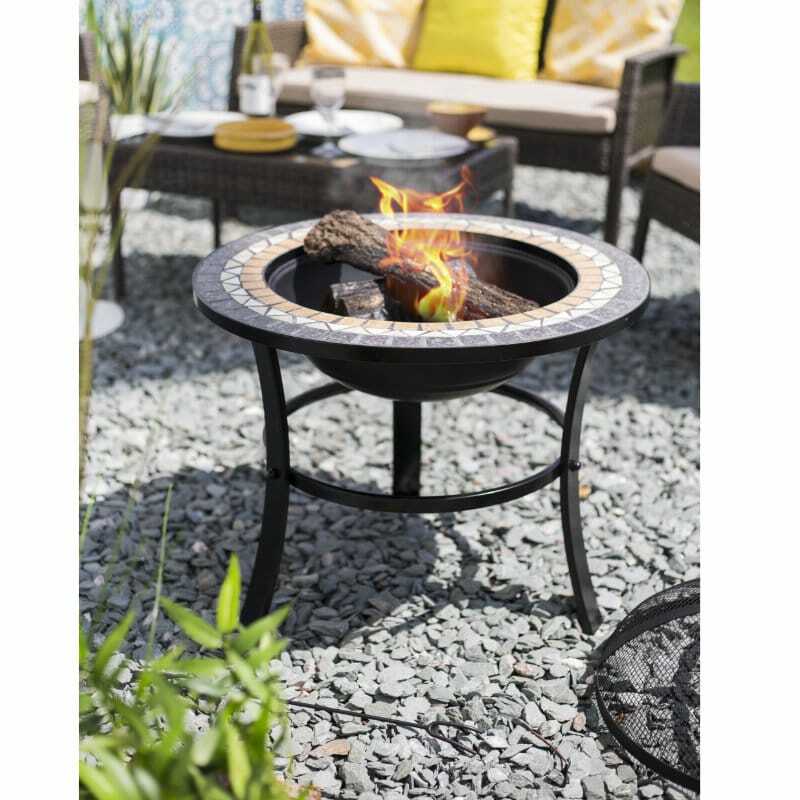 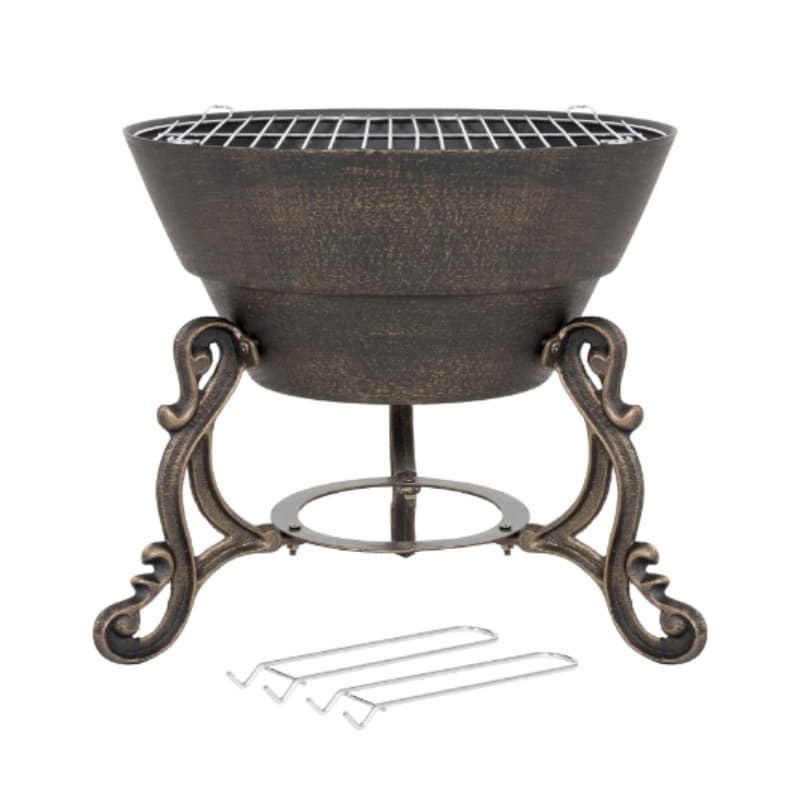 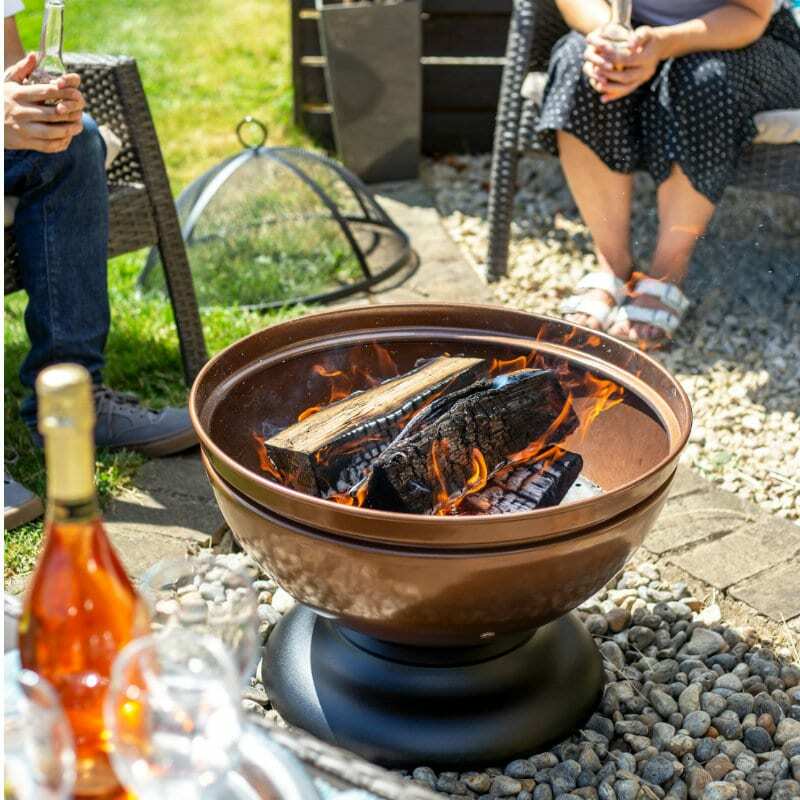 An original design, the bronze-effect Volta features intricate detailing such as curled feet to give this firepit a decorative style. 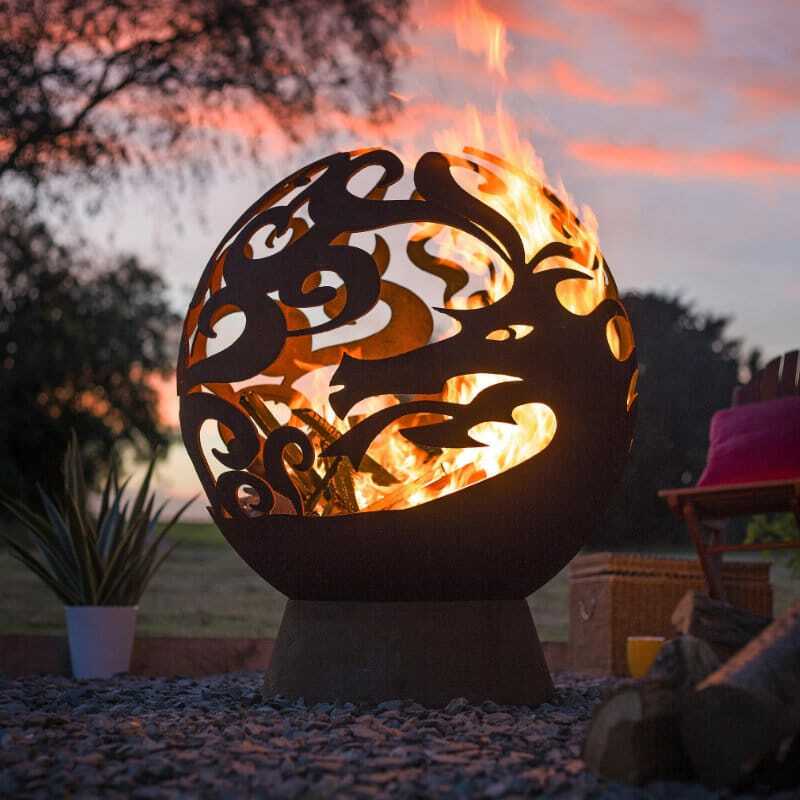 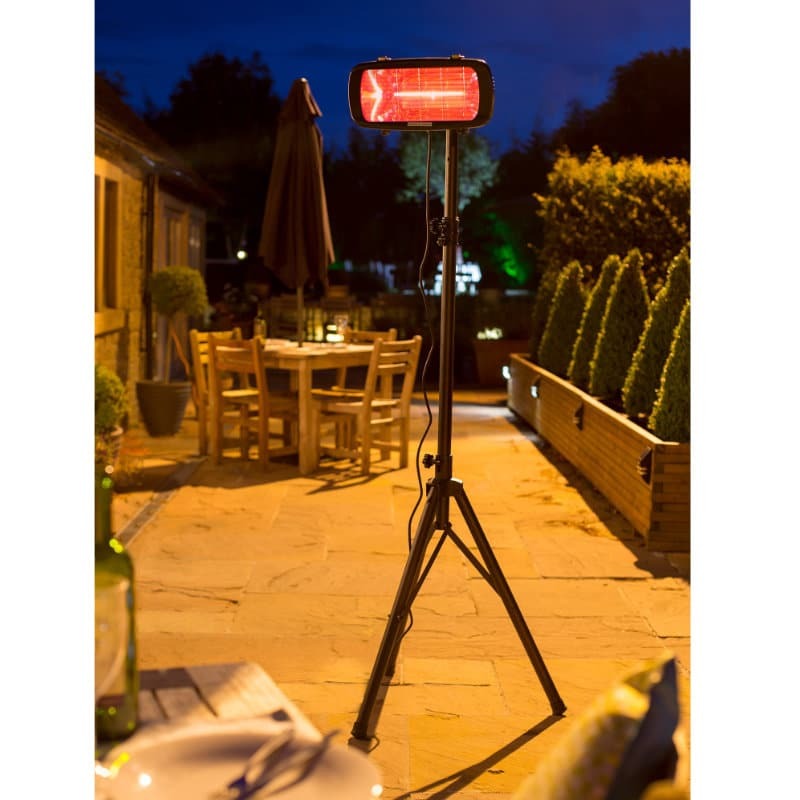 No matter what style outdoor space you have, the Volta will be a beneficial addition and a striking centrepiece. 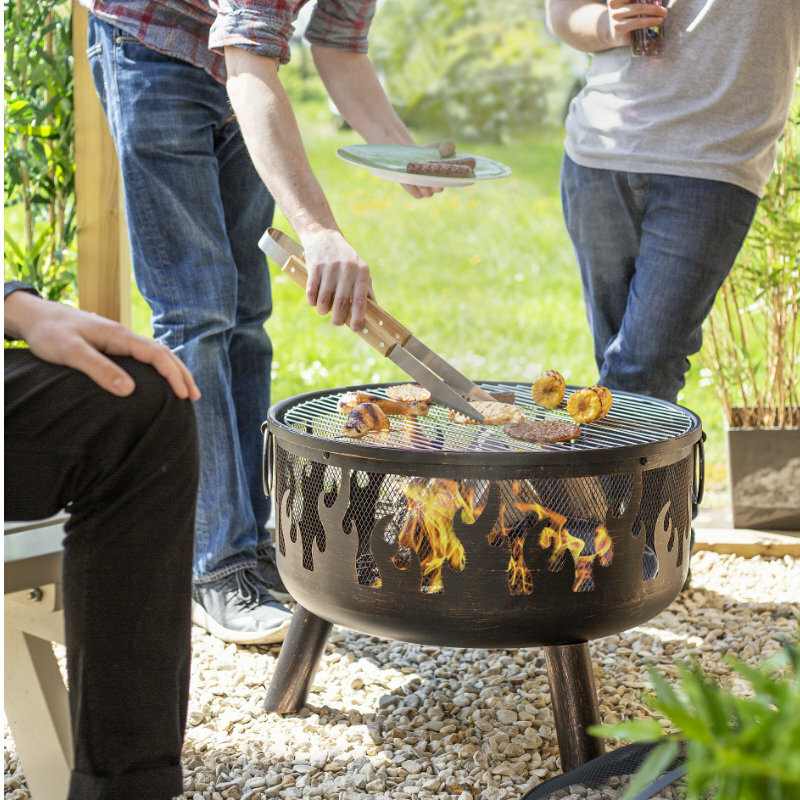 The Volta comes complete with a cooking grill and safety tool.